Only those who have read Storm of Swords or seen tonight’s episode should stay. After tonight, a whole generation will have nothing good to think when they see David Bradley on screen (the actor we love to hate as Filch from the Harry Potter franchise and Lord Walder Frey of Game of Thrones). The Red Wedding. My GoT viewing group has been discussing when this devastating event from the Storm of Swords book would air. Would they end the season with it? Would it come next season (which is Storm of Swords, part 2)? Would they air it in its full violent glory or cut to black and reopen on the [dried] bloody aftermath? I’ll be honest I have been dreading seeing this event visualized since the HBO series was announced. We had our suspicions when the very nondescript promo for episode 9 aired. It gave no clues to any storyline for episode 9, so it must have something up its sleeve. I confirmed the suspicions this afternoon, when I went looking for recaps after the east coast HBO stations had aired the episode. See, I have a weak constitution for gory violence in film and tv, and I struggle with suspense. Since I have already read the books, I don’t feel like skimming the recaps ruins the story for me. The gut wrenching, heart-tearing emotions that I felt…I mean, physically felt…when I read the Red Wedding chapter is still in my muscle memory. The visual of the decapitated direwolf broke my heart. 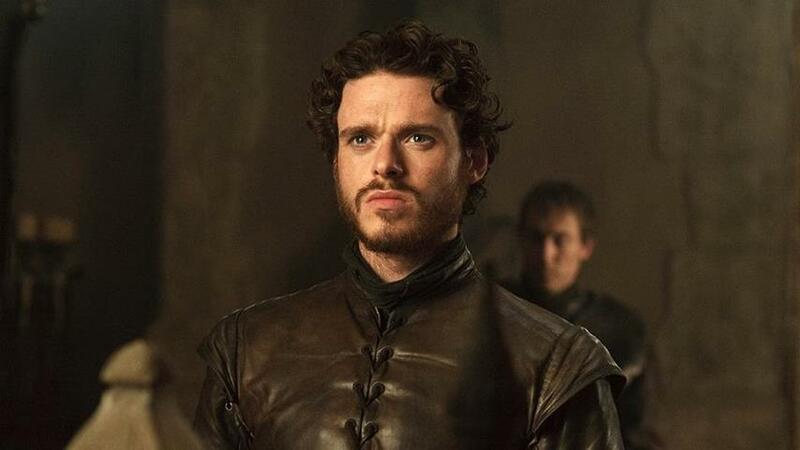 In the book, Catelyn thinks that it is wrong that Robb should leave his direwolf behind in the yard. These creatures protect her children, are a part of them. Her feelings of foreboding proved right. And I am still shaking. Michelle Farley wins the acting award tonight. The actress conveyed a degree of desperation and grief of a mother who had lost everything that seemed to physically alter her face. It wasn’t just a frown, she no longer looked like the Catelyn Stark that we have been watching for three seasons. I am glad I put down my knitting (usually my anti-gore security blanket) and gave the scene my attention. I never want to say that a Game of Thrones episode is “easy to watch,” but I am relieved that is over. It tells me that the creators, the actors, and the books’ author have done a fantastic job making you care about these characters you have only known for 29 episodes. The mixture of rage and disbelief, shock and heartbreak that is exploding on the internet is a testament to good storytelling. Do you watch (or read) Game of Thrones? How do you feel about the portrayal of the Red Wedding? Check out @RedWeddingTears on Twitter for a collection of the internet’s reactions to tonight. On a semi-related note, I have a Game of Thrones costume project stewing in my brain right now. I’ll tell you more about it soon. If anyone knows of any good articles or blog posts about the Game of Thrones costume designs, please let me know.